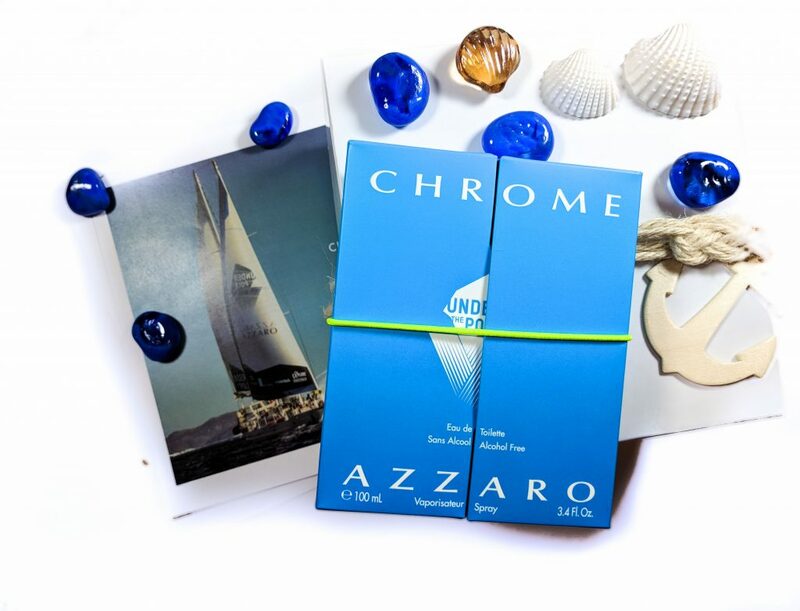 Azzaro Chrome Under the Pole(CAD $95 – 100ml) is a new fragrance from Azzaro in partnership with the Under The Pole team expedition. 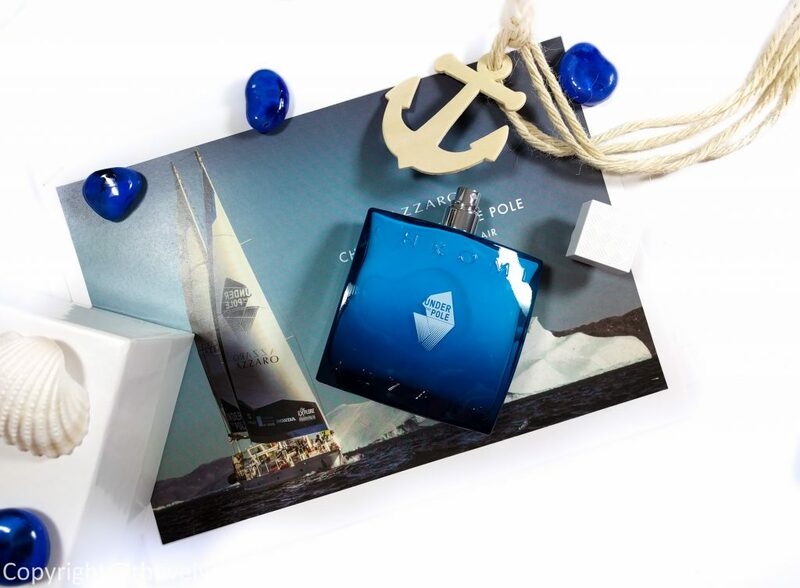 It is a new limited edition fragrance celebrating an embodying freshness for men, a symbol of freedom and escape, inspired by the Under The Pole expeditions from pole to pole. Under The Pole, is you are not aware, is a polar expeditions program dedicated to pushing the human limits of undersea exploration and especially the Arctic and Antarctic regions. It is led by an adventurer couple, Ghislain Bardout and Emmanuelle Perie-Bardout, with their children on their boat named “Why”. Driven by the innovative and bold approach, they are studying for better scientific knowledge and want to capture new wonderful images of this world difficult to access. Azzaro wants to make life an adventure with no limits and make each day an exhilarating experience by pushing people to desire the impossible, create surprise or try their luck…and become who they really are. We all have the power to live every moment more intensely. The partnership between Azzaro and Under The Pole is driven by the same pioneering spirit and passion. Chrome’s emblematic signature is reinterpreted in a new and original formula. Its alcohol content is replaced by water, producing an even more extreme and pervasive freshness. 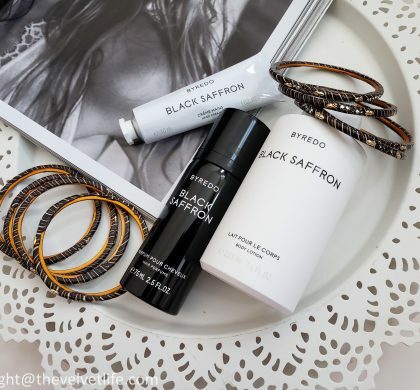 An invigorating sensation permeates the skin from the moment the fragrance is applied. This immediate freshness creates an instant chilling effect, as biting as the polar winds. 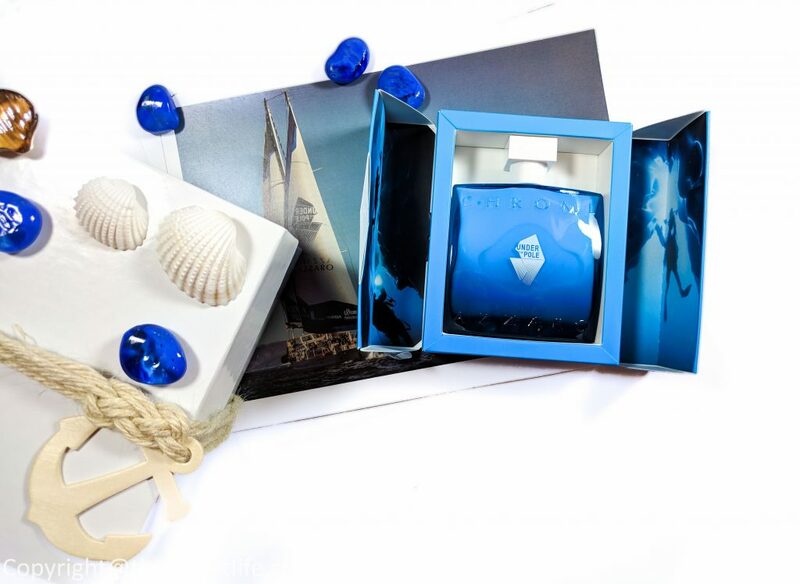 The scent is housed in a unique bottle, inspired by the ice caps, the focus of the Under The Pole mission’s research. The gradient effect of its luxurious blue lacquering reflects the varying shades of the ocean’s depths. As mentioned, In this new and innovative formula, alcohol has been replaced by a proprietary cooling ingredient for extreme freshness. 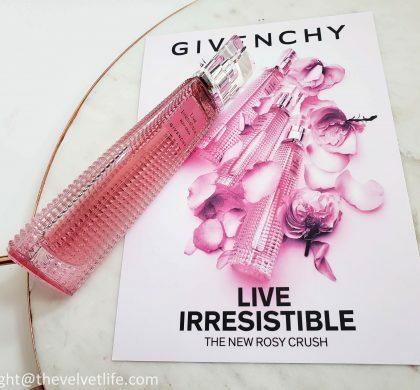 Top notes are rosemary, pineapple, neroli, bergamot, and lemon; middle notes are cyclamen, coriander, jasmine, and oakmoss; base notes are sandalwood, tonka bean, musk, oakmoss, cedar, Brazilian rosewood, and cardamom. 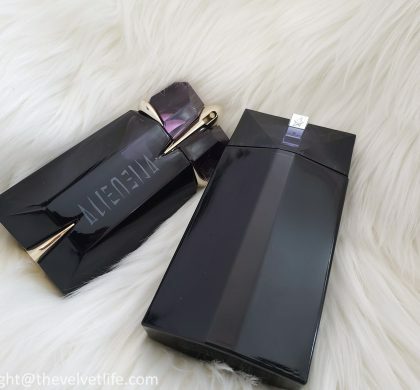 Chrome Under The Pole, in a limited edition, is available at the Hudson’s Bay and Jean Coutu.